Our Gallery Website Now Offers Easy Searches! Finding art in any category just got effortless! 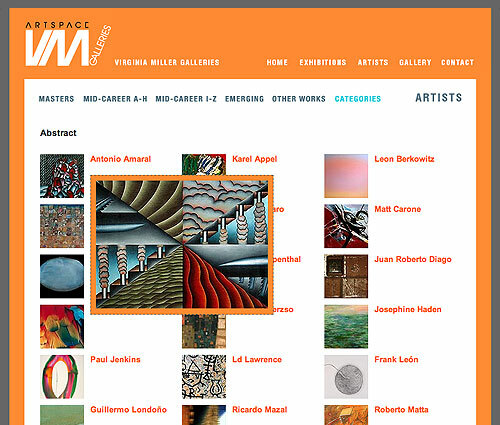 Click on Artists and then Categories to see a wide selection of Abstract, Figurative, Photographic and Sculptural works. Mousing over any illustration brings up a larger image of a work by that artist and clicking on the illustration takes you directly to other works by that artist. Clicking on any work will show a larger version with its size, medium and inventory number. Because prices in today’s art world tend to go up, email or call us at 305-444-4493 for current prices.